The MS Global Franchise Fund (Trades, Portfolio), part of Morgan Stanley (MS), disclosed this week its top five buys for fourth-quarter 2018 were Baxter International Inc. (BAX), Heineken NV (HEIA.AS), Reckitt Benckiser Group PLC (RB.L), SAP SE (SAP) and Microsoft Corp. (MSFT). Warning! GuruFocus has detected 1 Warning Sign with MS. Click here to check it out. The fund seeks long-term capital appreciation through investments in securities with resilient business franchises and growth potential. Key characteristics include sustainable return on invested capital, high gross margins, strong free cash flow generation and good financial strength. As of quarter-end, the 31-stock equity portfolio's top sectors in terms of weight are consumer defensive, technology and health care. The fund added 281,701 shares of Baxter for an average price of $66.90 per share, increasing the position 58.68% and the equity portfolio 1.43%. Third Point manager Daniel Loeb (Trades, Portfolio) said in his quarterly letter that Baxter "remains the firm's largest position." Even though it reduced its holding during the quarter, the Illinois-based company still occupies 28.32% of Third Point's equity portfolio. Loeb reiterated three growth vectors CEO Joe Almeida outlined at Baxter's investor meeting in January 2016: operational excellence, capital allocation and portfolio optimization. The Third Point fund manager highlighted two characteristics: targeted operating margins of approximately 23% by 2023 and a net debt-to-EBITDA ratio less than the group range of 2 to 2.5. 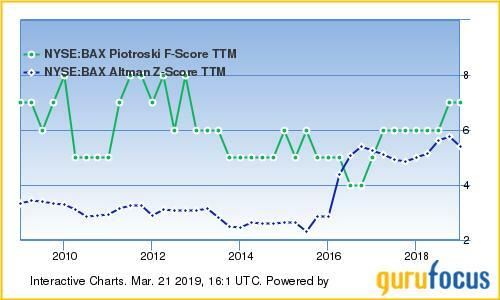 GuruFocus ranks Baxter's financial strength 7 out of 10 on several strong indicators, which include a solid Piotroski F-score of 7 and a robust Altman Z-score of 5.77. Other gurus with large holdings of Baxter include the Vanguard Health Care Fund (Trades, Portfolio), Bill Nygren (Trades, Portfolio) and Steven Cohen (Trades, Portfolio). The fund added 190,523 shares of Heineken for an average price of 79 euros ($89.72) per share, increasing the position 56.01% and the equity portfolio 1.29%. The Dutch brewer produces and sells various types of beer across several European markets, including the Netherlands, Austria, Greece and Italy. GuruFocus ranks the company's profitability 7 out of 10 on several positive signs, which include expanding profit margins and consistent revenue growth. Heineken's business predictability ranks a solid three stars out of five. The fund added 133,526 shares of Reckitt Benckiser for an average price of 64.58 pounds ($84.20) per share, increasing the position 10.08% and the equity portfolio 0.78%. U.K.-based Reckitt Benckiser manufactures and sells branded health and hygiene products such as Calgon, Lysol and Mucinex. 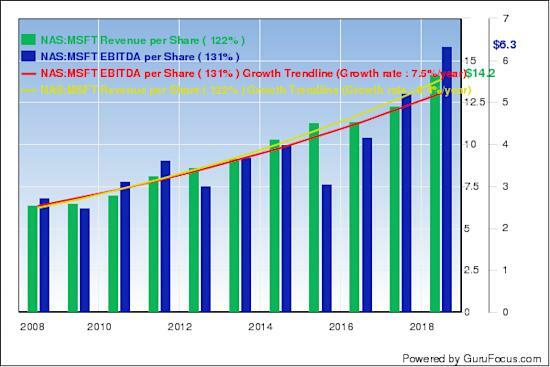 GuruFocus ranks the company's profitability 9 out of 10 on several positive signs, which include returns on equity outperforming 98% of global competitors and operating margins that have increased approximately 1.10% per year over the past five years. 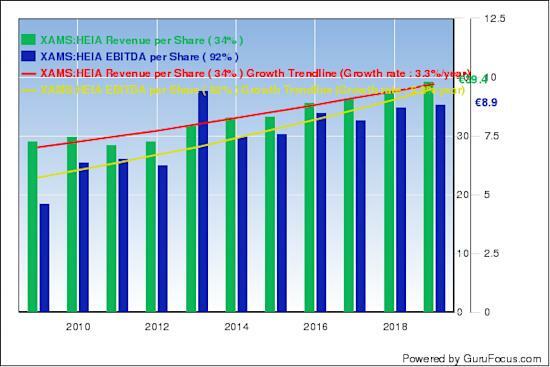 Additionally, the company's business predictability ranks four stars out of five on strong and consistent revenue and earnings growth over the past decade. David Herro (Trades, Portfolio) and Invesco European Growth Fund (Trades, Portfolio) also have positions in Reckitt Benckiser. The fund added 79,029 shares of SAP for an average price of 92.88 euros per share, increasing the position 16.38% and the equity portfolio 0.61%. The German software vendor provides solutions for enterprise resource planning, database management, business intelligence and vertical-specific software. 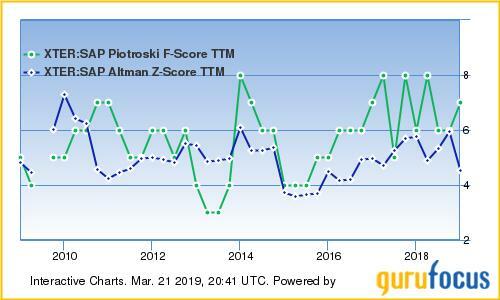 GuruFocus ranks the company's financial strength 7 out of 10: even though the interest coverage underperforms 68% of global competitors, SAP has a strong Altman Z-score of 4.88 and Piotroski F-score of 7. SAP's profitability ranks 9 out of 10 on positive investing signs like expanding profit margins and consistent revenue growth. The company's business predictability ranks four stars out of five. The fund added 67,838 shares of Microsoft for an average price of $106.75 per share, increasing the position 7.79% and the equity portfolio 0.53%. Microsoft, the company founded by Bill Gates (Trades, Portfolio), develops and licenses a wide range of products and services like Office, Azure, Windows and Bing. 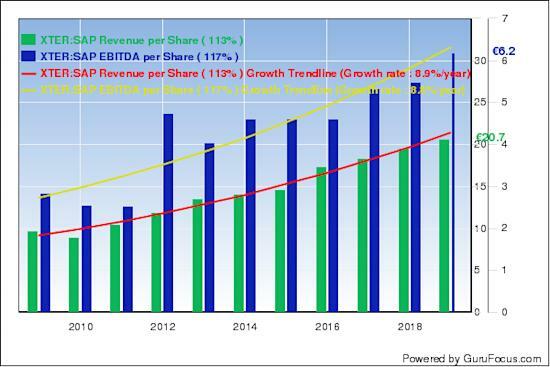 GuruFocus ranks the company's profitability 9 out of 10 on several positive signs, which include a strong Piotroski F-score of 8 and profit margins that are outperforming 95% of global competitors despite contracting approximately 3.7% per year over the past five years. 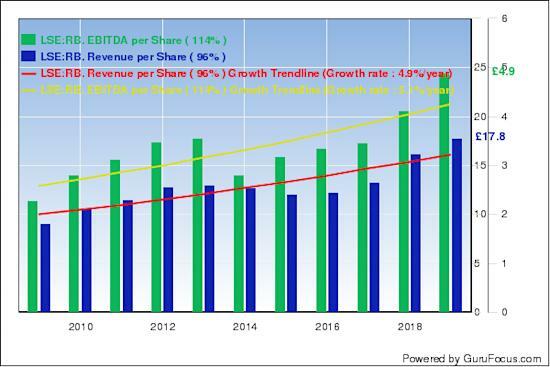 Additionally, the company's business predictability ranks 4.5 stars out of five on strong and consistent revenue growth over the past 10 years. Other gurus with large positions in Microsoft include PRIMECAP Management (Trades, Portfolio) and Dodge & Cox.